Recently, the National Highway Traffic Safety Administration released a safety advisory cautioning motorists about the importance of checking their tires during the hot weather months. The NHTSA stressed that under-inflated tires can be especially dangerous over the course of the summer and that properly maintained tires are essential to staying safe on the roads during warm weather. Our Boston car accident lawyers know that accidents happen every year as a result of problems with tires. These accidents are caused by many factors, from poorly made tires to rubber deterioration that occurs over time. However, the heat of summer is one major cause of tire failure as hot roadways contribute to tire breakdown and increase the chances of a crash occurring. According to the NHTSA, there are around 11,000 crashes each year in the United States that happen as a result of tire failures. These crashes happen because of under-inflated tires; bald tires; tire blow-outs; separations; and worn treads. When a tire blows out or the treads begin to separate, drivers may lose control of the vehicle. 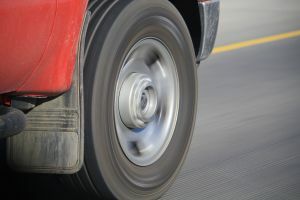 Worn treads and under-inflated tires can also lead to longer stopping distances and sluggish handling, both of which make it more difficult to avoid accidents. These problems can happen at any time of the year, but the NHTSA cautions that summer heat warms roadways, so when drivers travel along these hot streets at highway speeds, the heat can increase the chances of the tire failing. Who is to Blame for Tire Breakdowns? When a tire breakdown or underinflated tires cause a crash, it is important to determine who was to blame because the responsible party could be obligated to pay for damages and losses. In some cases, the fire manufacturer is at fault if there is a defect in the tire or a problem with the design or material that increases the risk of tire failure. In other instances, however, a driver who does not maintain his tires properly could be considered negligent in fulfilling his obligations as a driver on the road. Every driver must take reasonable steps to prevent accidents and driving on tires that are clearly unsafe may be considered to be an unreasonably risky act that makes the driver responsible for any resulting crash. Because you could find yourself being held legally liable for an accident, not to mention responsible for injuring or killing other motorists, it is important that you follow the NHTSA’s tips for tire maintenance in the summer. These tips can help to save your life or the life of someone else. Following the recommended tire pressure in pounds per square inch, which is typically found inside of your car door and in your owner’s manual. Using a tire pressure gauge to check the PSI of your tires. Knowing where your cars tire pressure monitoring system warning is if your vehicle has a warning system. Checking your owner’s manual and following manufacturer guidelines for replacing tires. Checking for raised sections in the bottom grooves of the tire tread, which can be a sign that it is time to replace your tires. By following these tips, hopefully you can help to avoid an accident and can keep yourself and other motorists safe during the summer heat. If you or a loved one was hurt in a car accident in Massachusetts, call the Law Offices of Jeffrey S. Glassman for a free and confidential appointment — 1-888-367-2900. Increasing Speed Limits Increase Accident Risks, Boston Car Accident Lawyer Blog, June 26, 2013.